On Wednesday, 8th January Component Laboratory at EDC has been opened. 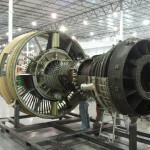 Numerous discussions between the Institute of Aviation and GE Aviation led to the final decision taken in July 2011 that the undertaking would be realized by Polish engineers. In 2012 building crews started works on lab construction. As soon as in September 2013 the team carried out the first night-time test in so called fully automatic mode. The lab has its own, small mechanical workshop, assembly room which meets demanded cleanliness requirements, storage areas and two test blocks with fully automated test rigs. The unique equipment designed especially for EDC purposes is the main drive with the power of 150 kW that enables testing with speed up to 25,000 revolutions per minute. 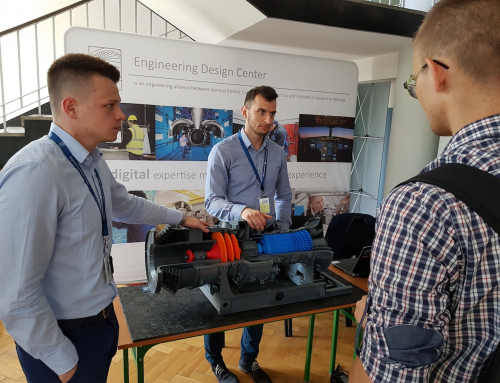 Using our lab and its testing capabilities we are now able to fully support bearings starting with the design, through testing, certifications, to field maintenance – said Product Design and Development Sub-Section Manager Michał Woelke. During that ceremony EDC have been visited by prime minster Janusz Piechociński and Mazowieckie voivodship marshal Adam Struzik. 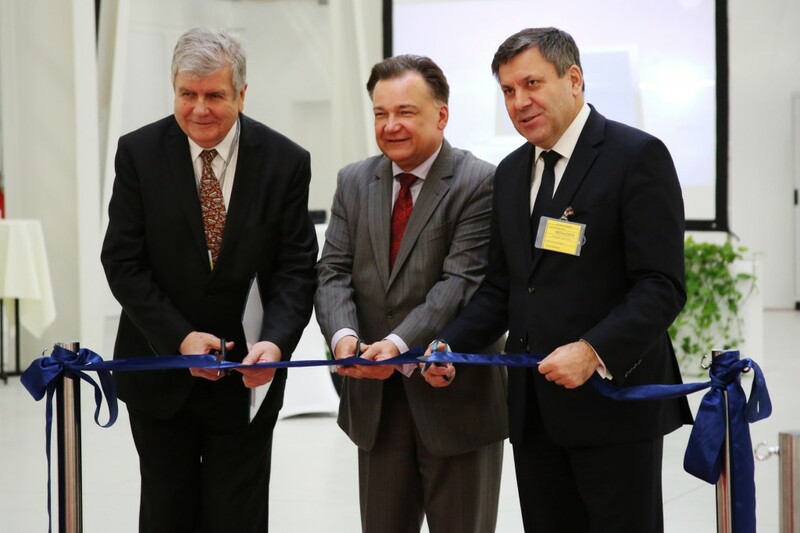 WIA director Witold Wiśniowski, GECP Chairman of the Management Board Magdalena Nizik and Institute of Aviation EDC Director Rafał Kajka were also accompanied by deputy minister of economy Dariusz Bogdan and Warsaw University of Technology rector Jan Szmidt.